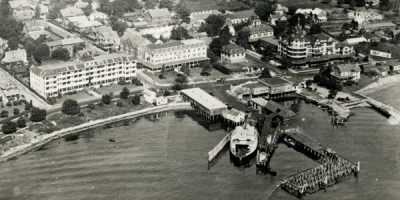 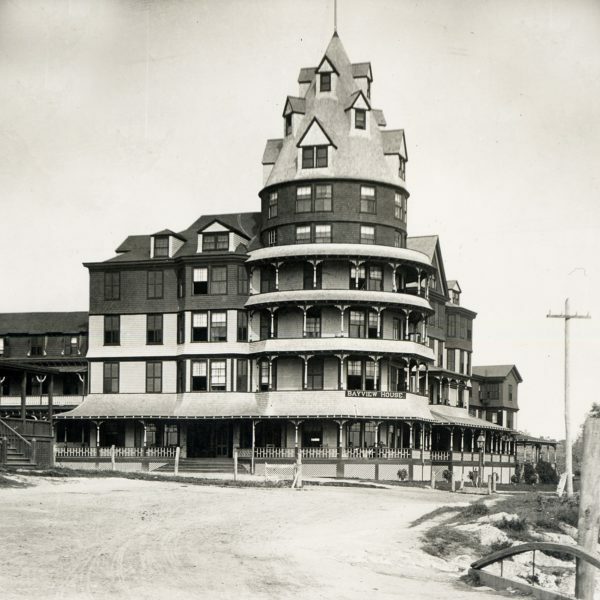 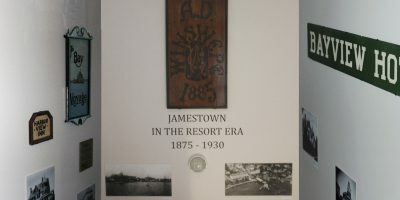 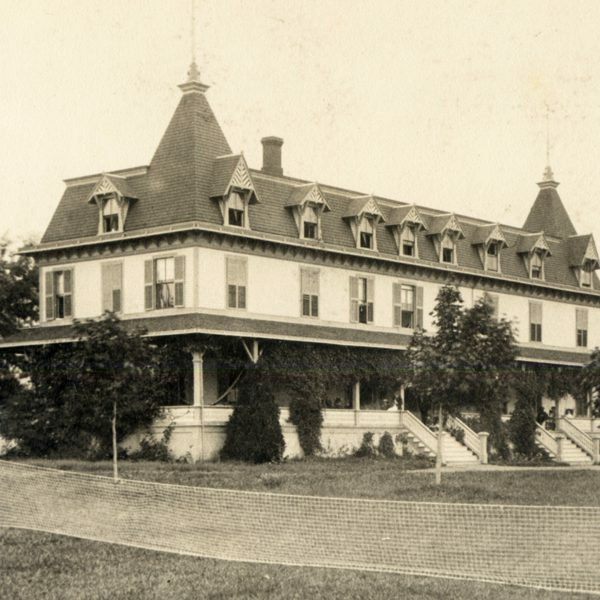 Jamestown’s resort era began with the steam ferries that after 1873 made Conanicut Island more easily accessible. 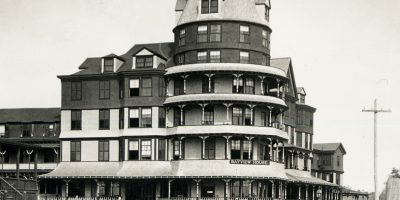 The era ended in the 1930s when the combined effects of the automobile, the Great Depression, and the threat of war changed the way people vacationed. In those years, summer visitors flocked to Jamestown. 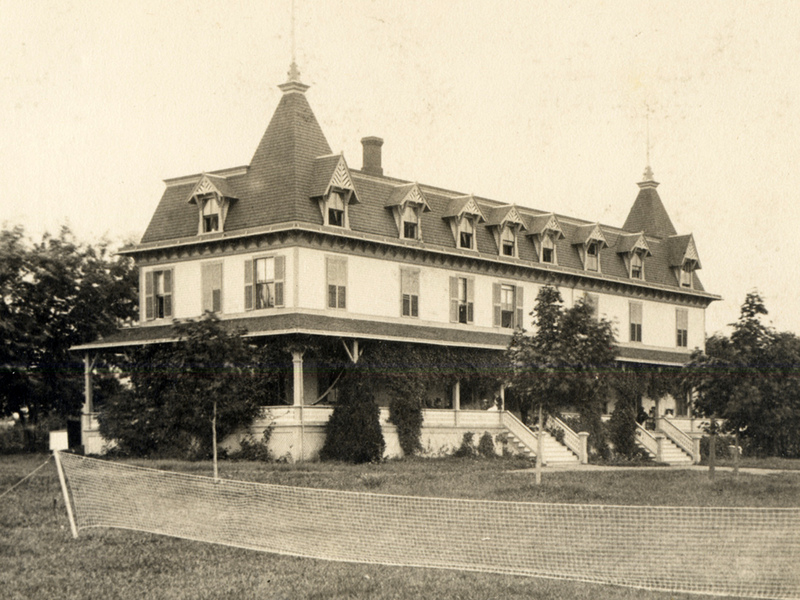 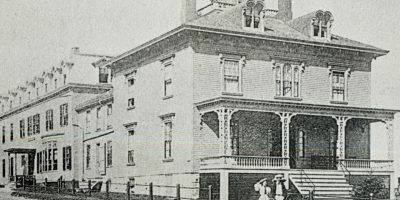 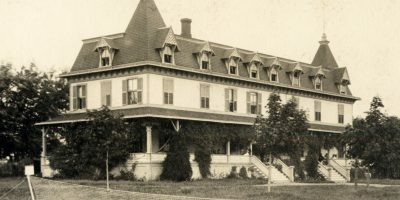 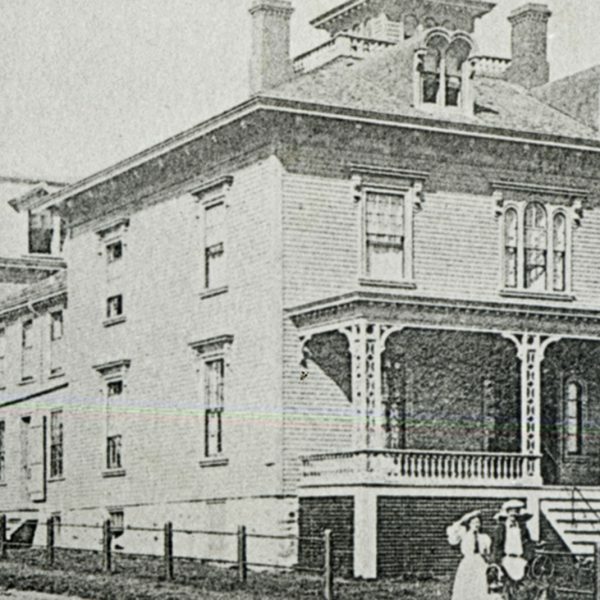 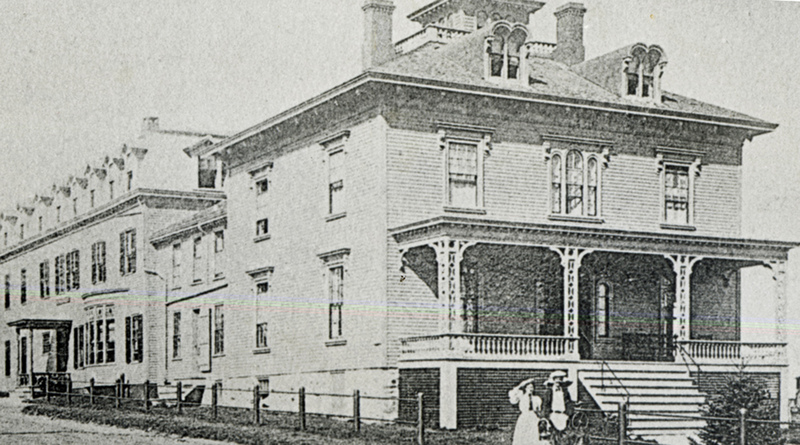 Over 1,000 visitors could be accommodated daily in the hotels, inns, and boarding houses. 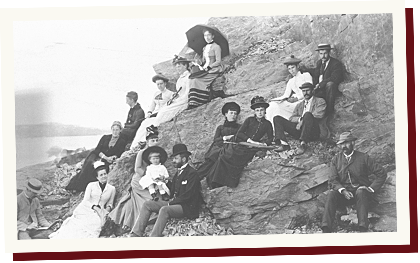 Many of the summer people came in late June and stayed into September to escape stifling city heat. 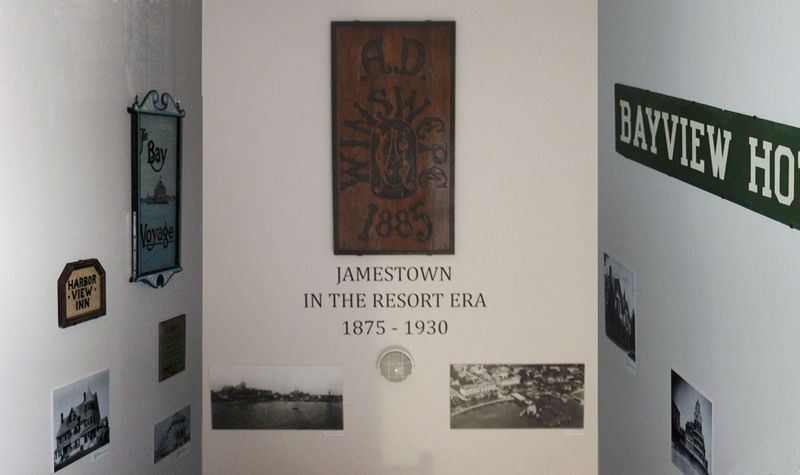 The Resort Era is celebrated in a permanent exhibit in the back stairwell of the Jamestown Town Hall. Original hotel signs and enlarged photographs of all the major hotels and some of the smaller inns are displayed. 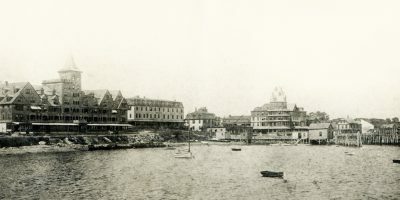 Two photographs of East Ferry – one from 1898 and one from 1926 – show the scene that greeted the traveler landing from Newport during the era.